Liangshan Yi Autonomous Prefecture in South Western Sechuan, China, harbors some of the most extreme landscapes in the country. The literal translation of Liangshan being ‘cool mountain’, the steep mountains and large numbers of isolated villages within the area make up for a very distinct and rugged topography. The cold climate and nature of the landscape make agriculture and the development of industry almost impossible, which also makes the cool mountains one of the least developed and poorest parts of China. Despite this, there are many ancient settlements scattered around the valleys of Liangshan with no more than 2000 inhabitants. It makes you wonder how these villagers survive. 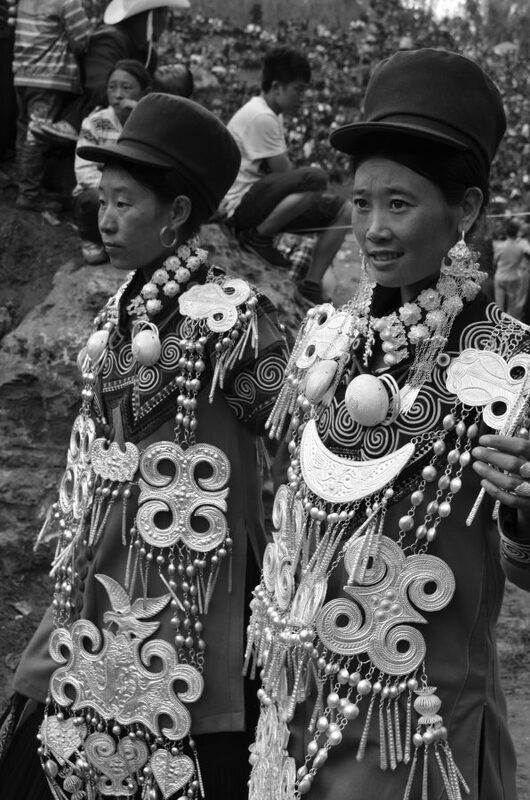 The Yi people historically are known as Lolo, a distinct ethnic group in China. Today they have a population of around 8 million, which is the seventh largest of the 55 ethnic minority groups in the country. 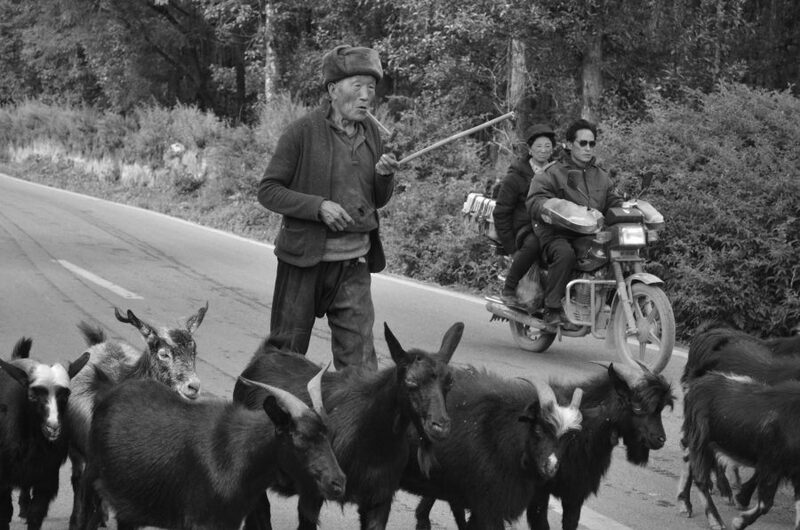 They live primarily in the rural areas of Sichuan, Yunnan, Guizhou, and Guangxi provinces, usually in the mountains. 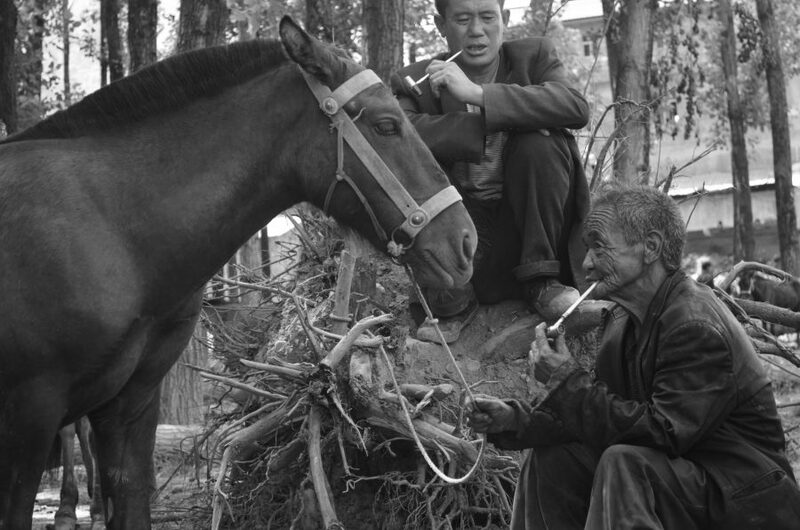 Nuosu are a subgroup of the Yi ethnic group in China. 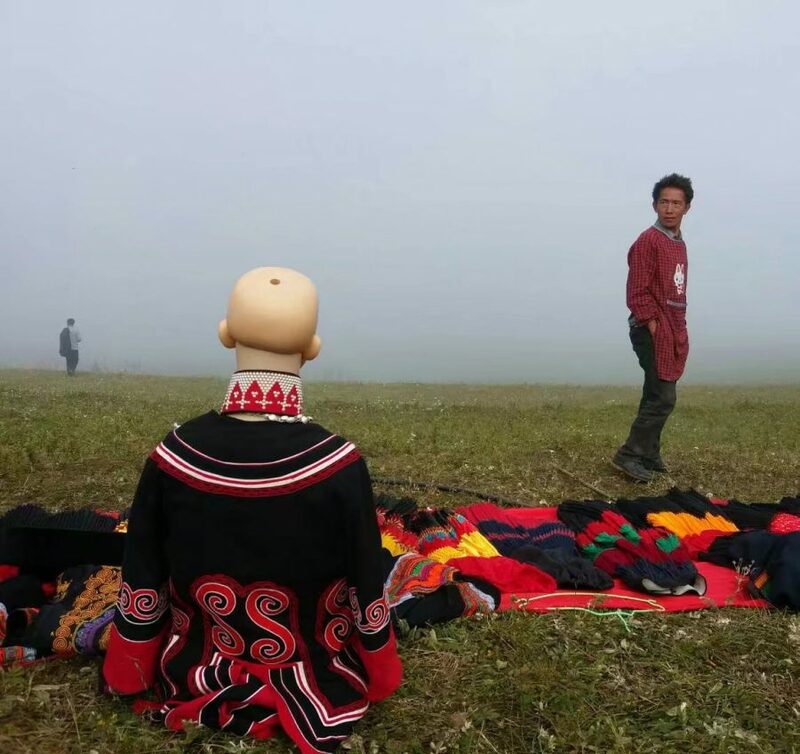 Today around two million Nuosu live in Liangshan autonomous prefecture (Cool Mountains) in Sichuan Province. Most of their homeland lies at elevations of 1500 to 3200 meters above sea level. The land is covered with hills and plateaus. The Yi do not only regard this landscape a visual expression of natural forces, it is also an inherent part of their language, practice, and rituals. Their language and script are strongly determined by the landscape, and their belief system is composed of a combination of animism and ancestor worship with spirit deities of the hills, trees, water, earth, sky, wind, and forests. The ‘bimo’ and ‘suni’ (shaman) are the communicators within this animist belief system. 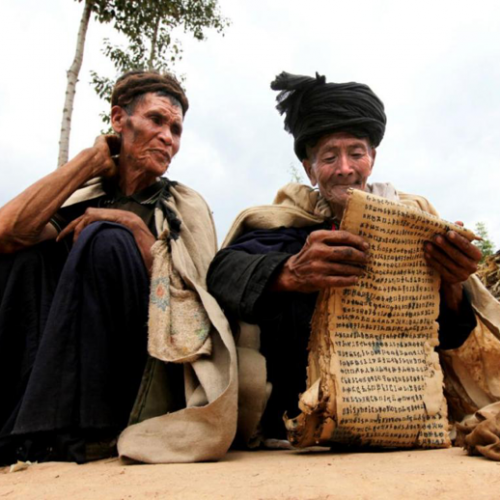 Bimo is the holder of the religious rites and rituals and the one who carries the knowledge of the traditional Nuosu writing and ancient literature, representing the core of Nuosu culture. 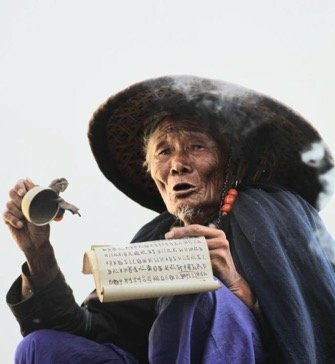 It can be said that the Bimo guards the bridge between the human world and the divine world of the spirits, performed through daily rituals such as healing, exorcism (for the purpose of healing diseases), blessing, divination and analysis of the peoples’ relationship to the spirit world. Nimucuobi is the most important ceremony of the Nuosu, in which the souls of the deceased are returned to their ancestors. Today, the social status of the Bimo and his knowledge are in rapid decline. 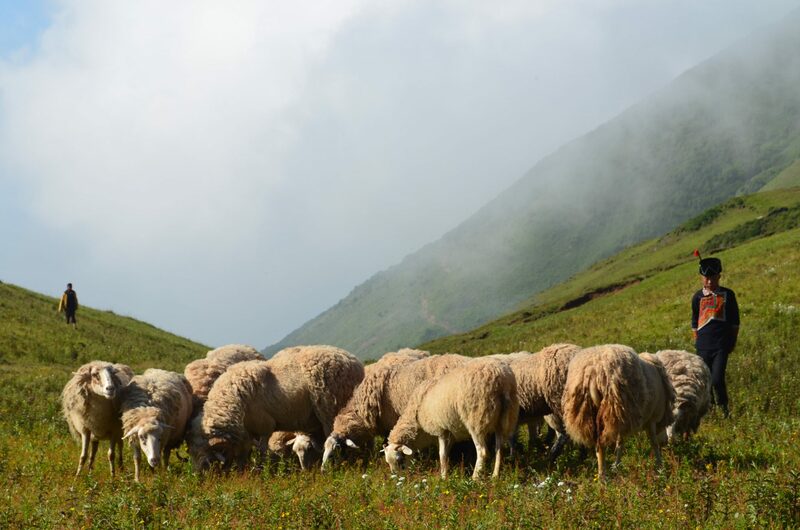 Nuosu have lived in the embrace of mountains for generations, they do not only reside there but also feed on them; living in harmony with nature, herding and hunting were once their most important means of survival. It can be said that Nuosu society in the “Cool Mountains” represents a kind of paradigm for the Yi in general, the geographical seclusion and the long history avoided influences from the outside world, and helped to maintain a distinct people, identity, and cultural heritage in the past. However, in a rapidly changing world of consumer culture and tourism, modernity has a negative outcome on biodiversity and cultural diversity, leading to the decline of cultural traditions and natural environments in the Cool Mountains. Nuosu society used to be a self-sufficient economy, and their subsistence was based on farming and herding. Because of the special geographical location and climate conditions, they can only cultivate grains like corn, buckwheat, oats, and potatoes. 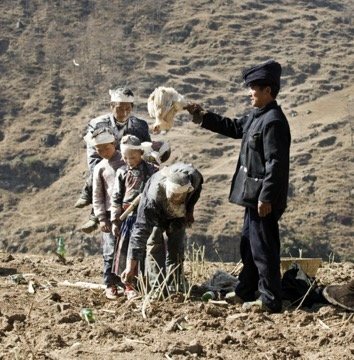 Still, they prefer to use as little cultivation tools as possible, to remain in balance with the environment and uphold traditional means of survival. Therefor, horses, sheep, goats and pigs are extremely valuable to the Nuosu people. Livestock is the main indicator of wealth and prestige in this traditional society, to such an extend that numbers of livestock are representative of social status. Sheep are used for shearing and weaving, cows are used to plough the land, and horses are used for transport. The Nuosu’s means of business is therefor centered around the livestock market place, where they don’t exchange goods or cattle for money, but for their sheer value. This is why local livestock markets used to be very prevalent in many Nuosu regions, it isn’t only a place for commodity transaction, but also a social and recreational place for meeting friends and relatives. Today, consumer culture has dramatically changed the Nuoso’s means of transaction, the local economy and therefor the entire culture. 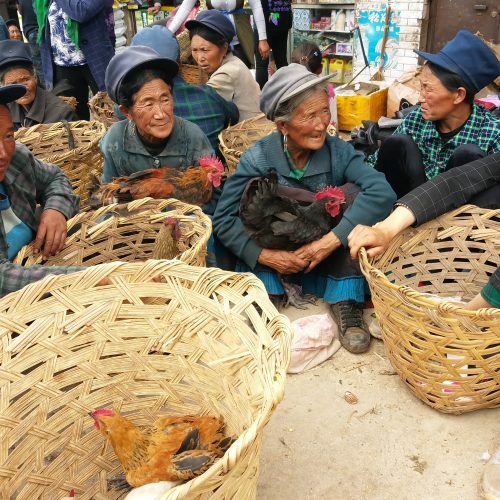 China’s tourism politics and so called ‘ethnic tourism’ has drastically increased the influx of people into the mountains of Liangshan, creating a whole new means of income, of which the Nuosu are also benefiting. Yet their distinctive traditional culture is subjected to contradictory pressure. To the Nuosu, this new form of ‘business’ is causing a threat to their natural exchange lifestyle, causing them to reinvent their traditions for touristic purposes and being exoticised within the broader context of Chinese modernity. Not being able to keep up with expectations and economic developments within the rest of the country, the Nuosu continue being marginalized and stigmatized for their lack of further development. In order for the Nuosu to thrive again, it is important for them to find a way to maintain their sustainable and community-based lifestyle and make those values the prerequisite for further touristic ventures within the Cool Mountains. This news feature was made possible by member of the Nuosu tribe and photographer Buhamo Budi and her cultural conservation project “Fern”.